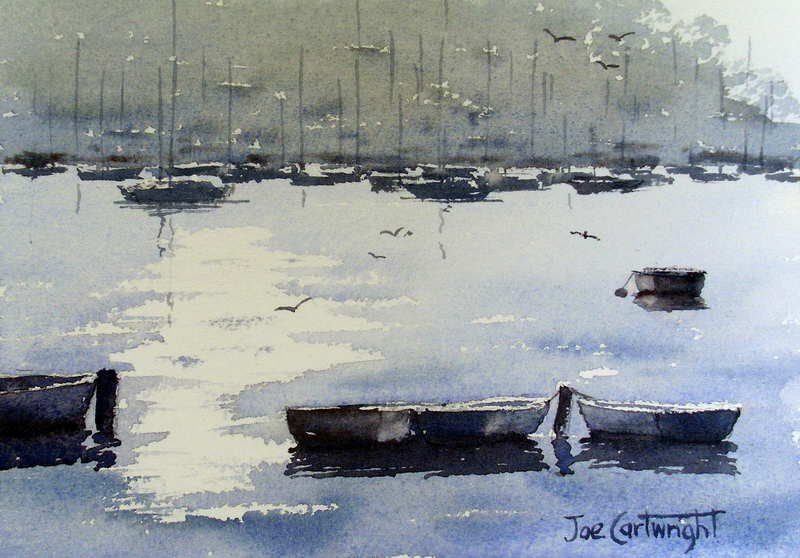 This simple watercolor painting of boats and water is designed to teach and reinforce basic watercolor painting skills of wet on wet and wet on dry washes, dry brush technique along with understanding how to create depth in a painting with varying tone and edges. Drawing subjects taught through this watercolor painting: perspective, row boats, sail boats, simple bird shapes. It is a small (7” x 5 “or 18cm x 13 cm) painting done on Arches rough 300 gsm watercolor paper. When you are starting out with watercolor painting it is far better to only work on small paintings until your skill develops, then you can slowly increase the size of your work. The reason for this is because one of your biggest challenges with watercolor is the speed with which the wet paper dries, working small reduces the problem this causes – but does not remove it completely! 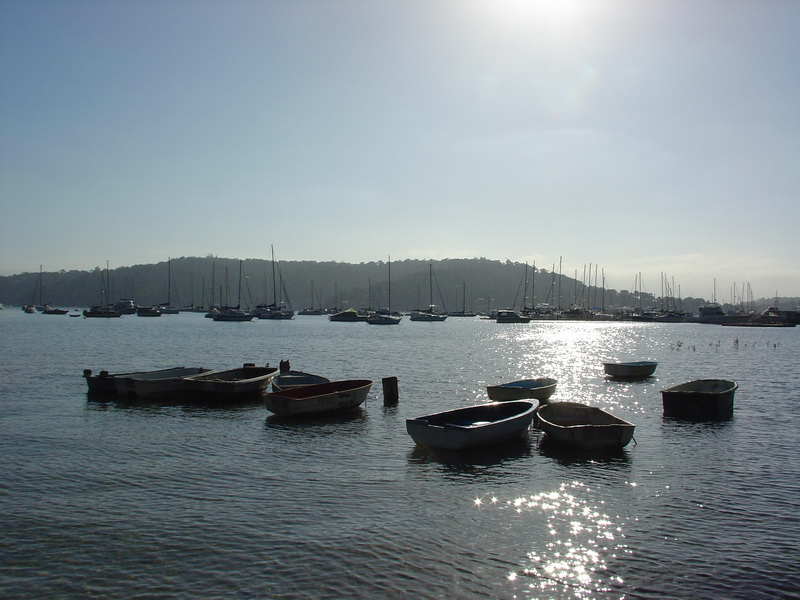 Small watercolor paintings can be very attractive, sell well, and make excellent gifts.The photograph below is of Pittwater a scenic coastal suburb of Sydney, Australia. The photo is taken early one spring morning. Watercolor paint: Winsor and Newton Cobalt Blue, French Ultramarine, Cobalt Turquoise, Raw Umber and Burnt Sienna. A small amount of Alizarin Crimson was also used when painting the row boats in the foreground. Masking tape and gator board to support watercolor paper. Any light board is suitable. Easel set at about 30 degrees. If you don’t have an easel just prop your board on any suitable object to give it about a 30 degree incline.